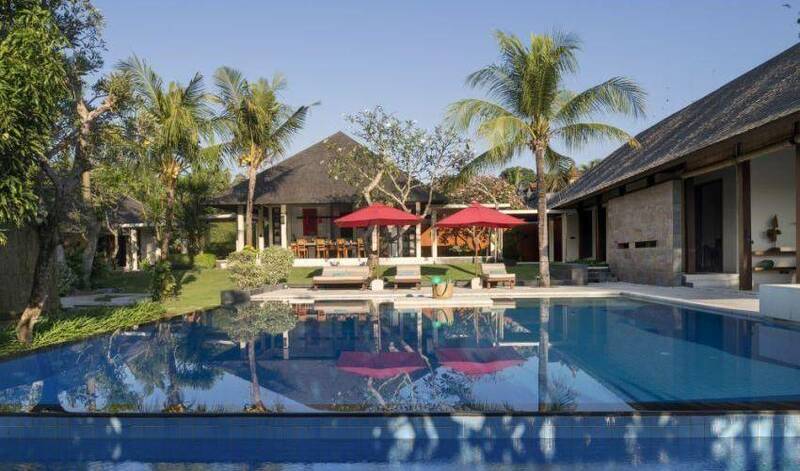 Located within the Pangi River Village complex adjacent to village of Pererenan on Bali's west coast in a secluded location overlooking the rice terraces beyond the Pangi River. 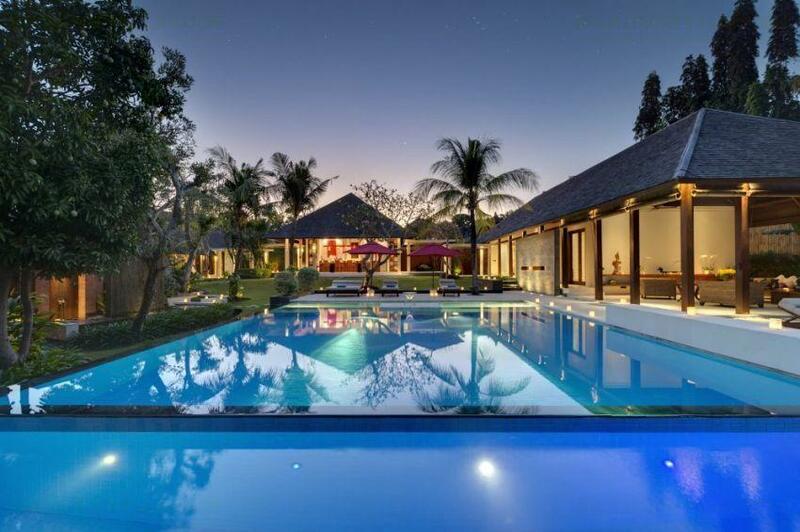 The restaurant and night life districts of Legian and Seminyak are only 15 minutes to the south and the trip from the Ngurah Rai International Airport to the villa is approximately 30 minutes. 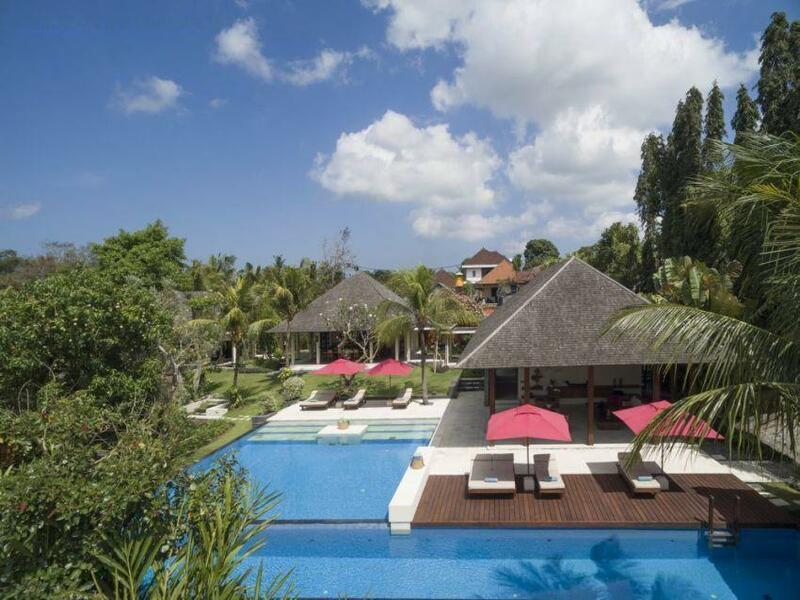 The villa offers a private a 20 meter lap pool and 10 meter square pool with all 4 air-conditioned bedrooms facing the pool and large tropical gardens. All bedrooms are ground level. The living area is designed in the open style concept. 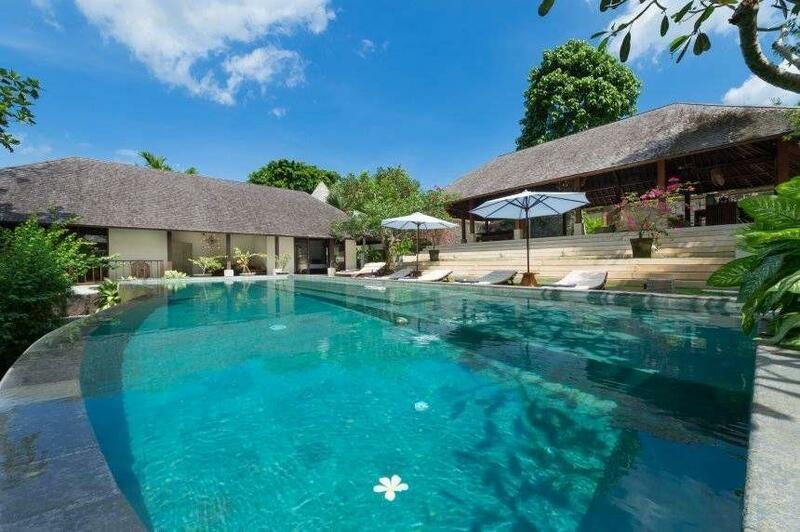 The beautiful traditional single roof of each of the buildings mixes traditional Balinese architecture with modern design. 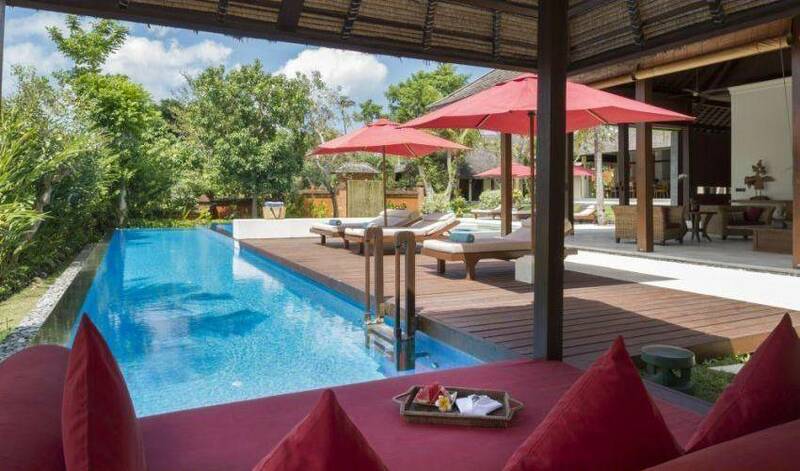 There are loungers for 8 people around the pools as well as a Bale that sits at the end of the lap pool. 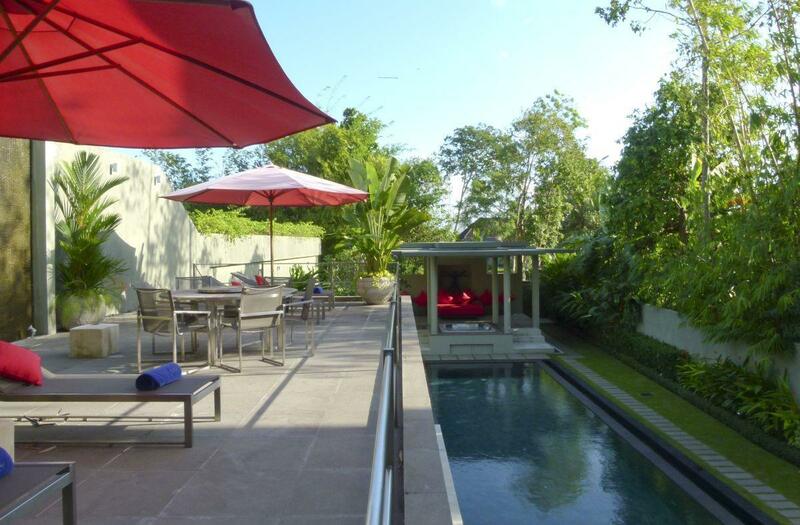 The large outside living area overlooks both pools. 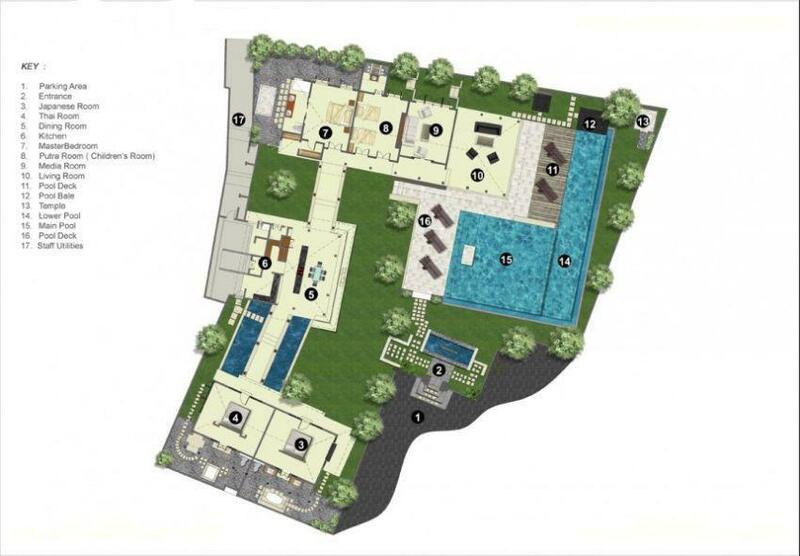 Villa 3258 was completed in mid 2008 and with total space approx 1,600 sq meter with excluding car parking, common areas etc.) 4 bedrooms (three double beds one twin bed) separate kitchen pavilion that seats 12 for dinner, open living area and multimedia room. 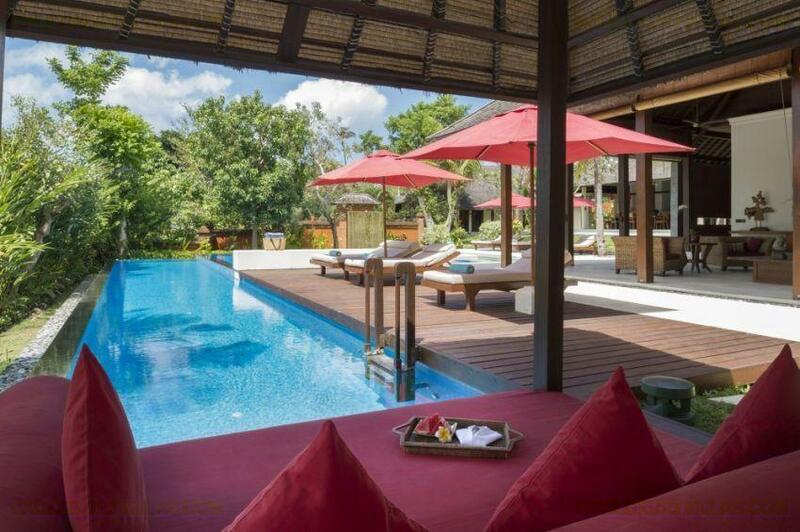 There are loungers for 8 people around the pools as well as a Bale that sits at the end of the lap pool. 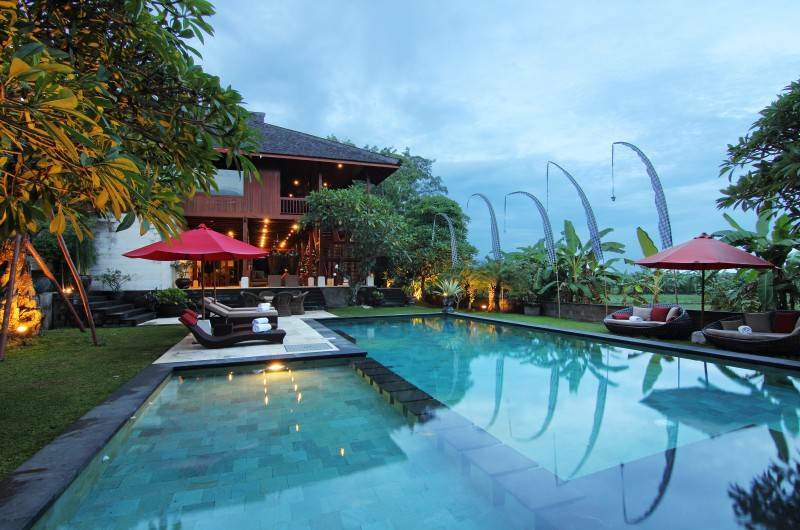 The large outside living area overlooks both pools. 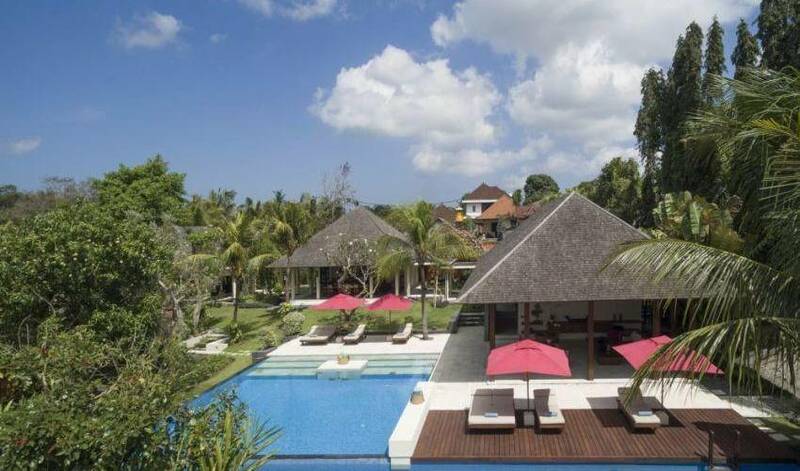 Villa 3258 is supported by a carefully selected team of highly trained and experienced staff members who will ensure that its guests experience a truly enjoyable stay in Bali. 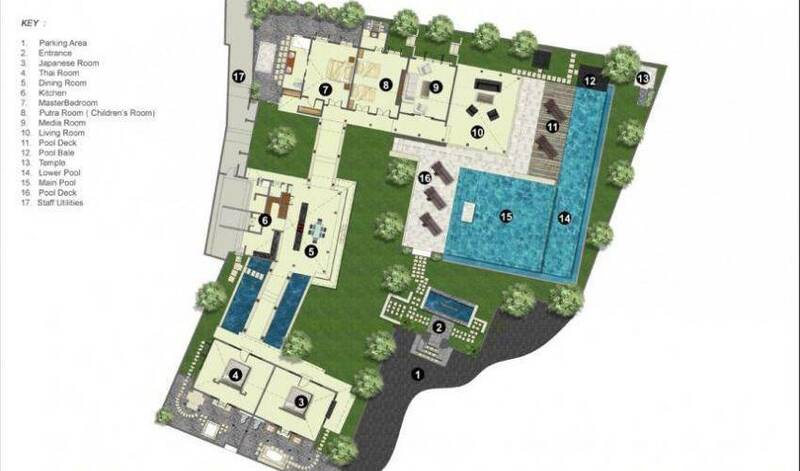 The team includes an in-house chef housekeeper, a gardener & pool maintenance and four security guards. The chef is trained in the preparation of both local and international cuisine, and is responsible for the market shopping. 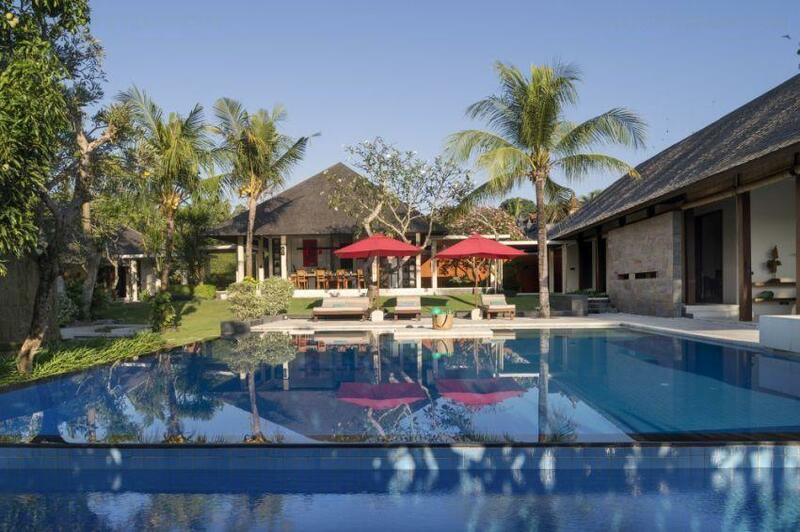 Located in Canggu it is approx 20 mins drive to "eat street" and the Legian/Oberoi Hotels, 15 mins walk to the local beach and 20 minutes drive to Tanah Lot, Le Meridien Hotel and the famous Tanah Lot golf course.